" From their first iconic pairing in 7th Heaven (1927) and in eleven films that followed, Janet Gaynor and Charles Farrell created an unparalleled cinematic romance. Their partnership was so utterly complete that in the minds and hearts of their adoring public, they were as one. Even though both enjoyed successful solo careers-Janet Gaynor won the first Best Actress Oscar and played Vicki Lester in the original A Star Is Born (1937) and Charles Farrell enjoyed a successful television career, playing Vern Albright on My Little Margie-their work as a team stood out. Even decades after their onscreen partnership ended, any mention of Gaynor in the press merited a mention of Farrell, and vice-versa. Behind the camera, Gaynor and Farrell carried on a secret romance that lasted from their first meeting in 1926 until Gaynor's first marriage in 1929. Supporting and encouraging each other's lives beyond Hollywood, they were able to maintain a mellow friendship that lasted their entire lives. 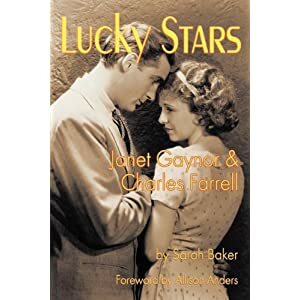 Drawing upon previously unpublished interviews with Charles Farrell and Janet Gaynor, formal interviews with family and friends who knew them best, and meticulous archival research, author Sarah Baker details the fascinating behind the scenes story of the greatest romantic team of all time. The book includes a detailed filmography and is lavishly illustrated with over 100 photographs, many from Charles Farrell's estate. Includes a foreword by director Allison Anders (Grace of My Heart, Things Behind the Sun). " " On June 9, 1865, while traveling by train to London with his secret mistress, 53-year-old Charles Dickens--at the height of his powers and popularity, the most famous and successful novelist in the world and perhaps in the history of the world--hurtled into a disaster that changed his life forever. 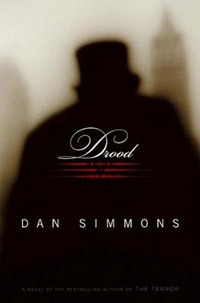 Chilling, haunting, and utterly original, Drood is Dan Simmons at his powerful best." Your books look wonderful! Have an exciting week. Ooh, Drood is a good one! Enjoy your new books! Drood was in my mailbox as well this week; enjoy. Lucky Stars has my attention. Drood is already on my wishlist. Enjoy your books! My MM is here. Lucky Stars sounds very interesting. Drood sounds very mysterious. Enjoy both books! O the first one sounds interesting. I can't believe I haven't heard of either actor before. I feel like such a bad retro movie watcher! What fabulous books! Happy reading. My mailbox is at The Crowded Leaf. Oh, looks like you got some interesting reads! I haven't heard of that acting couple before, but it sounds like a good book. Drood sounds cool. Enjoy! Here's my Mailbox.